Ahly will meet Masry in the Egyptian Premier League match postponed from match-day 33, in Sharm El-Shiekh stadium on Monday, behind closed doors. The Egyptian Football Association (EFA) chose the arena in South Sinai, 500 KM from the capital Cairo, due to security concerns. 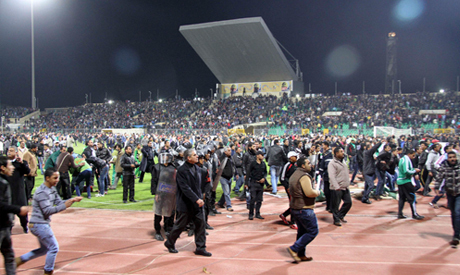 This is the second time for the rivals to meet up since 1 February 2012, when Egypt's worst-ever football disaster occurred in Port Said stadium leaving 72 people dead – all Ahly fans – after a pitch invasion by Masry supporters. The first meeting after the massacre was in January 2015 during the first round of the current season in the calm Red Sea resort of El-Gouna, also behind closed doors. The match ended in a 1-1 draw, scored by Mahmoud Abdel-Hakim, in the 56th minute, and Ramdan Sobhy, in the 80th minute. The EFA is reported to be planning to hold the Ahly-Zamalek match, scheduled for 21 July, in the same arena. Sharm El-Shiekh is located a long way from the ongoing insurgency in North Sinai where Islamic State-affiliated Sinai Province launched simultaneous attacks on security sites on Wednesday morning, the largest attack in the restive peninsula in years, leaving dozens dead. The association also announced that the Egypt Cup draw will be held next Saturday.